Garagiste (“garage-east”) was a term originally used in the Bordeaux region of France referring to the small production winermakers there, many of whom worked out of their garage, and were often renegades driven by passion. 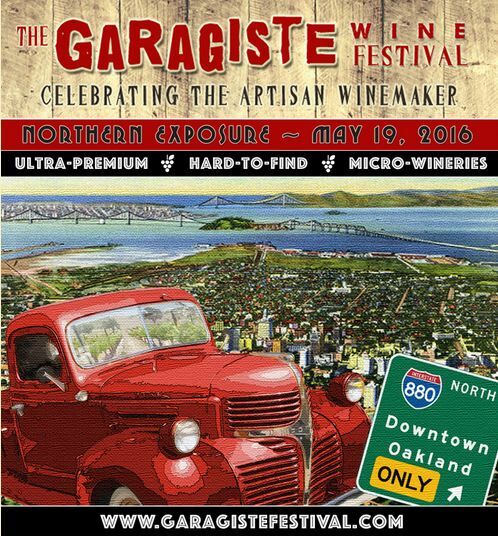 The garagiste movement is alive in California and The Garagiste Wine Festival Northern Exposure will be held on May 19, 2016, in Oakland, California, featuring micro-wineries making under 1,500 cases per year, offering ultra-premium and hard-to-find wines. The event includes 32 participating wineries and over 100 wines to taste. The winemakers will be there, not winery reps that so often show up from large wineries to pour at events. The goal of this festival is to support the small producers who lack marketing budgets or the time to get out and sell their wine. Over 70% of these winemakers do not have a tasting room. This is not strictly a Pinot Noir tasting event, but many wineries featured in the PInotFile will be participating including the following producers: Chenoweth, Cutruzzola, Kendric Vineyards, Ryan Cochrane Wines, Tessier Winery, Von Holt and Weatherborne. Founded by fellow garagistes Stewart McLennan and Douglas Minnick, Garagiste Events is a 501C3 non profit organization dedicated to furthering the education of future winemakers and those training for employment within the wine industry at the Cal Poly Wine & Viticulture Program. Tickets are $75 in advance. A 10% Early Bird discount with coupon code GFNORTH10 is valid through April 28. To purchase tickets, visit www.garagistefestival.com.